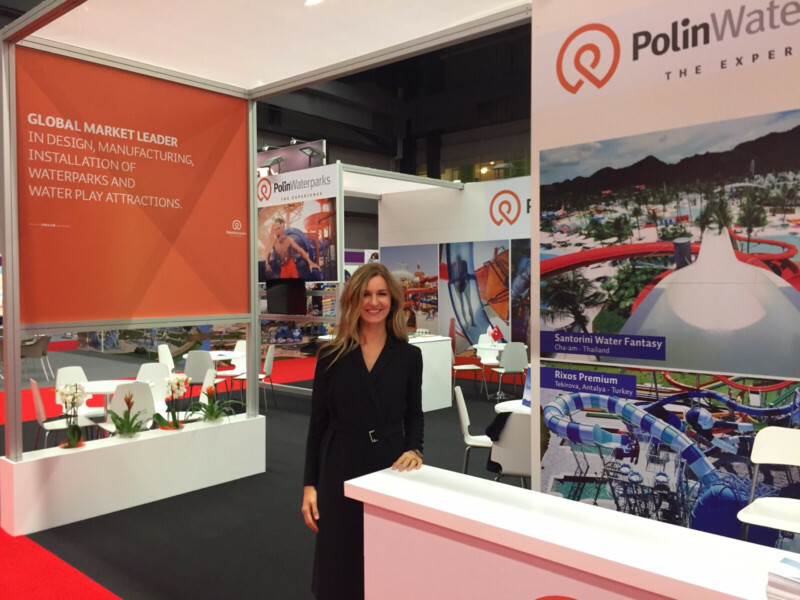 Polin Waterparks has occupied a special niche in the composites industry for four decades. Originally producing fiberglass composites for the construction industry, the company evolved within a few years to serving the leisure and waterslide markets. “We quickly became experts in fiberglass composites,” explains Dr. Baris Pakis, President of Polin Waterparks. A composite material, of course, is a compound of two or more materials that have different properties, and that combined produce something with characteristics differing from either component – possibly stronger, lighter, more flexible, more cost effective, supporting new aesthetic applications, etc. Automotive/transportation, aerospace, pipe and tank and wind are among the dominant markets for composites, according to the American Composites Manufacturers Association (ACMA). Like waterparks, those industries demand composite materials and products that are robust and reliable. Sometimes they also fulfill aesthetic demands. For waterparks the aesthetic and functional factors are both essential. 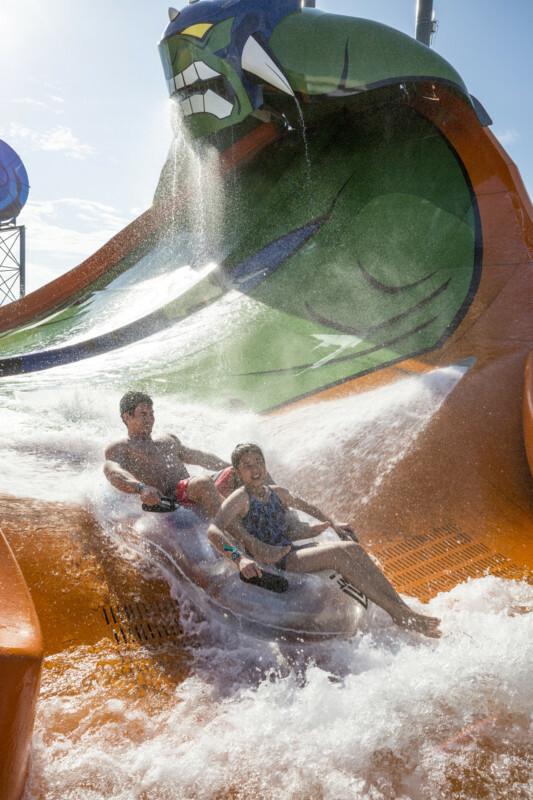 Slides are often the focal point of a waterpark and they are the dominant component of the entire guest experience. It is very important that slides keep their eye appeal for as long as possible. And like all entertainment products, continual reinvestment and research & development (R&D) are required in order to remain competitive and turn out new products that enable the parks themselves to remain competitive. How do you describe this line of waterslides? 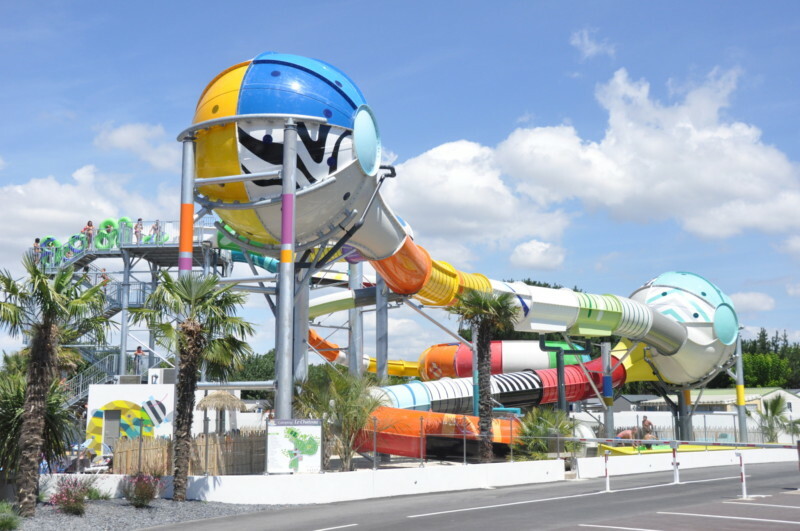 This technology innovation turns waterslides into genuine works of art with both interior and exterior designs – fully embedded into the production of the slides. With the industry focusing on theming and story telling more and more, this line will help both the designers and the water park owners. Tell us about the technological innovation that allowed this product to develop. Our Resin-Transfer Molding (RTM) technology, first introduced nine years ago, marked a milestone that enabled us to offer superior quality waterslides both aesthetically and physically in less time with less waste. Their immediate popularity encouraged us to continue our R&D which has resulted in being able to offer translucent RTM waterslides and our patented Natural Light Effects (NLE) and Special Pattern Effects (SPE) as well. We have used our experience and know-how to our advantage in waterslides like King Cobra, which has a complex snake pattern embedded into the slide. We are now expanding that into a whole line of artistic themes that can fit into a wide range of park themes to enhance the storytelling. What makes RTM technology special? 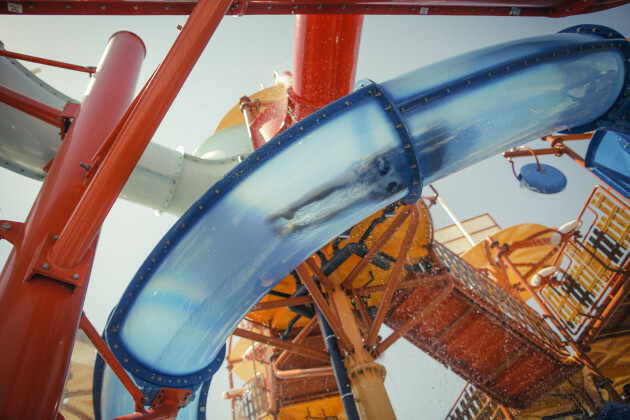 RTM (Resin Transfer Molding, which is a closed molded composites manufacturing technology) manufactured waterslides create attractive slides with a perfectly smooth and shiny finish on both sides. But it is not only about the look. Through RTM waterslide manufacturing technology, the slides are more durable and can be made faster and with less waste. Today the whole industry is moving towards closed molding. This leading technology has now displaced the former traditional manufacturing methods. Polin has been a pioneer in the advancement and application of the RTM process in waterslide manufacturing. We converted to RTM in 2006 and today Polin is the only waterslide supplier in the world that offers its entire line as RTM manufactured. What inspired you to create this line of slides? It was not only inspiration, but hard research. Our focus has always been what the client wants, but we also care what the actual guests want. We pay close attention to feedback from our clients and their park guests. We create rides based on actual research into what guests want. Social media has been incredibly helpful in allowing us to gauge how guests respond to our attractions. Essentially, that means the guests themselves are now helping to shape our waterslide designs. After creating King Cobra and different themes of the ride (e.g. the Humangaslide version), we saw how important it is to incorporate theming. For example, the Cartoon Network Amazone Project won the Leading Edge Award from the World Waterpark Association (WWA) last year. Every waterslide in that project is themed – each attraction reflects a character from the Cartoon Network animation series, such as Ben10, Johnny Bravo, and Power Puff Girls. Customers want the parks they visit, and the rides in the parks, to tell them stories. This new product line supports ever more elaborate and customized storytelling and theming. For example, in a waterpark where the concept is a rustic outdoors environment, the Wood’n Slide would enhance that theme and storyline. It is fiberglass composite but it does look like real wood. Since it will blend in with the theme, designers don’t need to worry about hiding or masking the slide behind other scenery or props. What artistic themes did you develop? Graffiti The design application includes customizable, hand-drawn, exclusive illustrations that create a strong and unique visual impact. All Graffiti designs are tailor-made to a park’s theme. Mosaic This option reflects the Italian art of tesserae – a design technique in which individual tiles form the shape of a cube. But unlike actual tesserae, Polin’s version is one solid piece of design and is available in a wide range of colors. Triangulated The three-dimensional, embossed surface of this option reflects light much like a solid prism. The unique geometrical shapes of this design create truly artistic theming options. Wood ‘n Slide This option provides an astonishingly realistic wooden finish in a variety of wood veneer options. Reflection The visual appeal of high-tech facades are created from the metallic colors applied to this offering. Shiny, reflective and glossy surface finishes are available in gold, silver, copper and platinum. Honey Comb Similar to the Triangulated option, this specialty pattern is cut and applied to Polin’s slide components to create a honey-comb appearance. A large number of metal patterns can be created from this option. Slide ‘n Roll This new offering combines all of Polin’s exclusive technologies – unique sound, lighting and design special effects – into one slide to create an experience that fulfills the full range of sensory stimuli for guests. Can you explain more about the special effects you can integrate into slides? We offer Natural Light Effects, Special Pattern Effects, Translucent Patterns and Natural Sound Effects. Natural Light Effects are a special, patented process that we employ during the manufacturing of tunnel-type fiberglass waterslide components. As the sun shines through the slide’s fiberglass sides and interacts with the flow of water it creates colorful designs that continually change depending on the angle and strength of the sunlight. Both riders inside the slides and viewers on the ground can enjoy the dynamic experience as lighting changes throughout the day. Natural Sound Effects technology turns our waterslides into giant, passive speakers that naturally amplify sound through the entire tube. Tactile transducers (also called bass shakers) incorporated into the system transmit a low-frequency vibration onto a surface – in this case, our waterslide tubes – so that the vibrations turn into sound and can be heard by riders as they travel through the slide. Where can people see examples of the new product line?